Helping people tell their stories is what I do. How to tell stories that people want to hear: 21 prompts to discover your best stories. 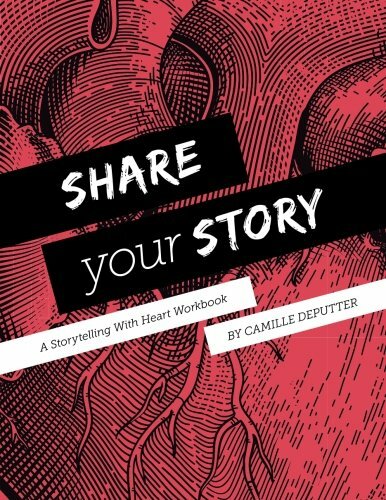 Sign up to the Storytelling with Heart newsletter and receive this FREE storytelling workbook! Discover your most powerful, positive stories and how to tell them. Thank you for signing up for this free resource, and joining the Storytelling with Heart newsletter list. An email is on its way to confirm your subscription and provide your free workbook. Don't see it? Make sure to check your spam box. You can unsubscribe from this list at any time. Thanks for including me in your storytelling journey. I just know you have some great stories to tell. Not sure what it is yet, or how to say it? Want to write but feel scared or stuck? I can help you with that. My specialty is giving people the tools and the inspiration to tell their stories. You can find the courage to write. And the clarity to do it well. Want to get started? Check out my book, Share your Story, on Amazon.